Taking the family away on a vacation is one of the best ways to create some wonderful family memories to look back on in years to come. The problem for many of us is trying to get the cash together to go on vacation in the first place, which is why you might need to adopt some money saving strategies. Making use of useful money-saving resources such as Goibibo coupons and others is always going to help you get the most for your cash, so here are some ideas to help you achieve that vacation goal and make some more memories. Putting aside money for a vacation fund is not always easy with so many other things to pay for when you are raising a family and running a home, but by adopting several initiatives at the same time, you can soon start to accumulate more cash than you thought possible. Set up a vacation fund that is separate from your normal savings and checking account, so you protect what you manage to save from any temptation to use the money for another purpose. Saving a small amount towards a target date is always going to be easier on your finances than trying to raise a lump sum in one go, when the time comes to book your vacation. Cutting out one meal out or having one less trip to the cinema and putting the money you would have spent in the savings pot instead, will soon make a difference and consider having a yard sale to raise some extra cash. When it comes to the vacation itself, try to find hotels which are offering extra perks and freebies, which will help your money to go further. Free Wi-Fi and free car parking might not sound like they add up to much but some resorts make a steep charge for extras like this so if you can get them included in the deal, it will be extra money available to enjoy your vacation with. Always make use of coupons and discount codes for attractions that you are planning to visit while you are on vacation. Family tickets and kids-go-free offers can make a big difference to your costs and if you manage to bag a bargain on ticket prices before you go, it will help you vacation fund stretch even further. Not every family attraction charges for entry and museums are a great example of this. Depending on where you are headed for your vacation, check out the museums and other local attractions or events that you could go to without having to pay an entrance fee. Kids often end up having a better time than they anticipated at a museum and a few free days mixed in with the theme park visits and other paid attractions, will help your family fund to last for the whole of the vacation. It is never too early to start saving for your next family adventure and if you are savvy with your saving and booking strategies, you could create some wonderful family memories for less than you thought. Suzanne McKee is an experienced travel consultant. He insights are often well received when she posts online and has written for a variety of different travel-related websites. These are wonderful tips. I always try to find great deals for the whole family. Vacations are expensive, but we need this to unwind. I totally agree money can be earn and can be spend easily but building memories with our family is priceless and can't be taken away. I love free attraction , we always told each other to relax and unwind not necessary be spending money or go beyond your budget. To be happy and experiences is more important. Ahhh..that place is amazing, so many things to explore...i'm glad that we did visit the place a long time ago and still wanting to visit it again. Good tips sana mayroon din kaming mga coupons na makuha. We went to Hershey Park last month and my kids loved it.,We spent 2 days at the park and I am so happy I could take my kids there and make those memories with them. We are trying to save for a BIG trip (Hawaii) and we are doing exactly that, using whatever extra money we can find. We all look for places with freebies, like kids eat free and free parking. These are great tips. Family vacations are fun, but they can really hit your wallet hard. Thanks! My husband and I are actually saving for future trips since we will have 2 kids soon. You got some great tips, definitely considering the others for future trips. I've I could save a little extra money on each trip I'd be happy. I like the idea of finding more free attractions. These are awesome money saving strategies. It's important to save for a vacation because you don't want to end up using up all your funds. I also always look for great deals as it helps me save money. Thank you for sharing these wonderful tips! I'm always looking for ways to save money, especially when it comes to making lifelong memories (i.e. traveling) with my family. I agree that vacations do not need to be costly to be fun. There are a lot of freebies we can avail of, if we only search more thoroughly and plan very well. Thanks for the tips! Great tips! I have always got to have my Wifi connection so I always make sure that is included when we are away from home. Thank you so much for these ideas! I am planning our first vacation next year and need to save money. We love to go to all the local museums when we travel. It is a great way to save money on a trip. In Italy everywhere we went the kids got in free. It was awesome. As long as they're in school they're free. That's a great mentality because we want them to learn the history. Yup coupons are so very helpful when traveling. You really can find great deals by using them. Btw, so jealous that you and your family went to Hershey Park. I've always wanted to go there. Having a recently reduced income, I will put these strategies to use. 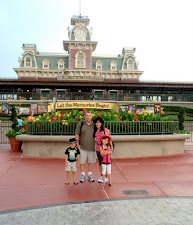 We are long overdue for a family vacation, but don't want to be out a big cost. This makes me miss travelling. I love travelling with my family. The free attraction might be a huge help for me saving. Glad you shared this. Bobbi and I love to take three day weekend trips where we put sandwiches and things in a cooler, and just head in a direction and see where they road takes us. We feel they are the best kinds of vacations to go on. I'm all about making memories and saving money. I live in DC and being in this area makes this task really easy. We have a ton of free museums, so many that I've not been to all of them myself. We also love to take our adventures on the go. We love street festivals as well. These are some great tips! I usually research months ahead before a vacation for lots of different offers and compare prices, using living social is always a plus. There are so many deals you can take advantage of if they pop up in time for you to snag them before your trip.